Feeling very Little Red today...I found this coat at the back of my coat closet and it felt like a bright spot to pair with an outfit I've already worn about three times. 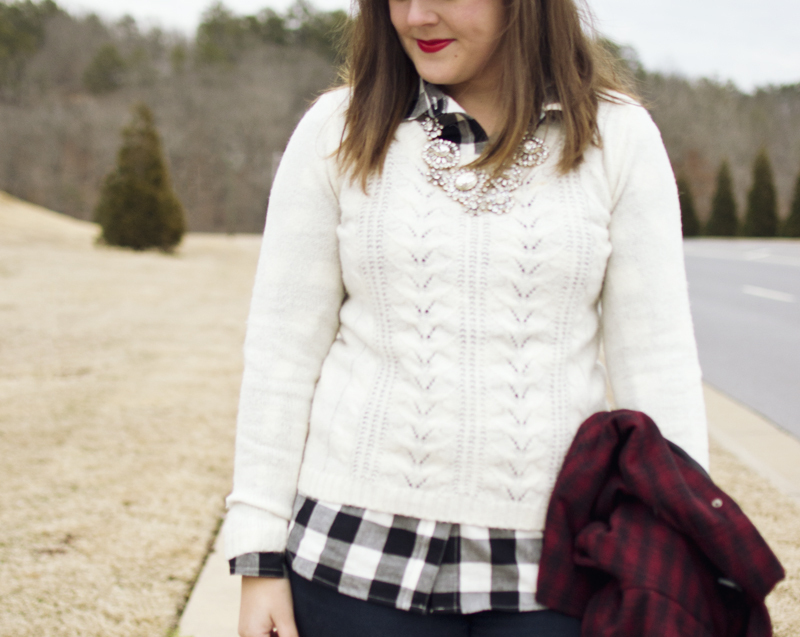 Some combinations just work, and this black and white plaid button up with a sweater over it is one of them. I'm coming to terms with the fact that I have no idea how to dress for the winter. I put on too many layers and sweat whenever I'm indoors, but then I wear far too few for walking outside. FASHION IS HARD. Jacket, Forever 21 (old, similar from Sierra Trading Post). Button up, Old Navy (similar from ModCloth). Sweater, Forever 21 I think (similar from H&M). Lipstick, Cover Girl 305 Hot Passion (exact). 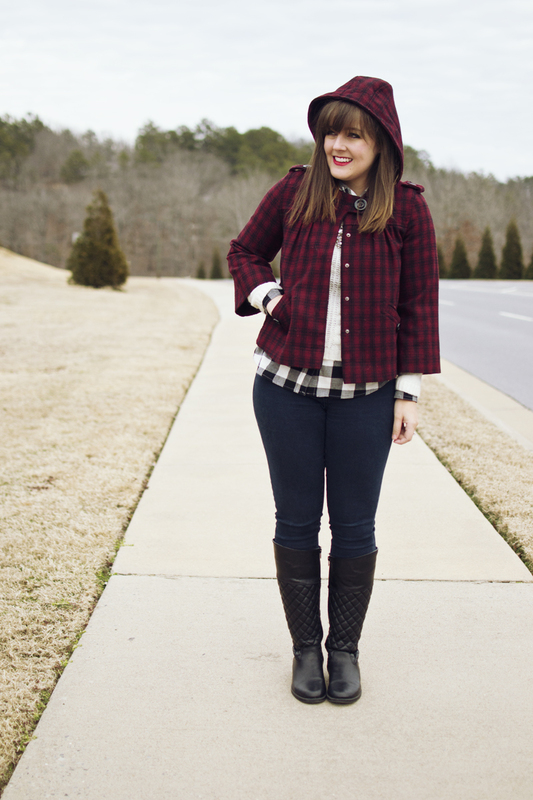 Linking up with Walking in Memphis for Red & Pink Trend Spin today!